A primary reason our clients consider leveraging a data center is cost savings – which can be considerable. 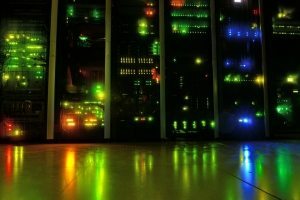 More and more organizations are discovering data center services are ultimately cheaper than maintaining their own servers and other equipment in-house. Furthermore, did you know you can save even more money with equipment and software leasing as well? This advantageous service allows our clients to completely offload the purchasing, maintenance and management of high quality hardware and software for a minimal monthly fee. But how does this viable alternative help a business, exactly? We’re glad you asked! Any viable business has continuing plans to grow. However, as business expands, so does the need for more space, resources, systems and network infrastructure. You could purchase your own equipment and hire the necessary staff to maintain the equipment to meet ever-growing needs, but it will be at an ongoing expense – both in capital and operating. Why? Because the investment doesn’t end with paying off your purchase. When you own your own servers and software, you also have to maintain it. You’ll need to hire an IT professional—or even a team of them—to handle the daily management and maintenance tasks. When (not if) something goes wrong, these staff resources have to be pulled from core business projects and functions to resolve the issues. And that isn’t the only expense. Systems have to be routinely maintained to keep up with growth and to ensure business continues to run efficiently. This includes expenses incurred with updates, upgrades, retrofits, replacements and more that can tally up very quickly over time. However, with equipment leasing, you trade out the capital expenditure for operating expenditure; a choice that is often much more beneficial to monthly and yearly budgets as well as a company’s overall bottom line. When you choose equipment leasing, you allow our expert technical data center staff to handle daily management and maintenance tasks. SkyLink Data Centers in particular employ professionals who are certified IT administrators and engineers as opposed to telephony staff typical with most other data centers in the area. Our IT staff have the expertise to ensure that your servers, systems and network infrastructure stay up and running without interruption. This service also allows the flexibility and agility to fully customize solutions targeted specifically to your business needs. Because you only incur operational expenses with the leasing option, the data center can expand system and server resources only to the extent your needs require without the wasted cost incurred with capital expenditure for the new equipment beyond what may be required at the time. You simply pay a monthly fee that is scaled by the level of services and resources you use. One of the ultimate advantages of equipment leasing is that it’s one less thing to worry about. All of the money and the hours your staff would have spent in researching, planning, purchasing and maintaining equipment can now be reinvested in more profitable endeavors and core business tasks and requirements. With everything maintained in a state-of-the-art, highly secure, fully redundant, hurricane resistant, 24/7 operating environment is the standard, you can easily see the benefits inherent with data center hosted equipment leasing far outweigh the price tag of your monthly operational fee. Want to See if Equipment Leasing is Right for Your Business? Contact SkyLink Data Centers at 239-403-2950 to see how our services at both of our two locations in Naples and Orlando can save you money while providing access to state-of-the-art technology that will enhance the success of your business.